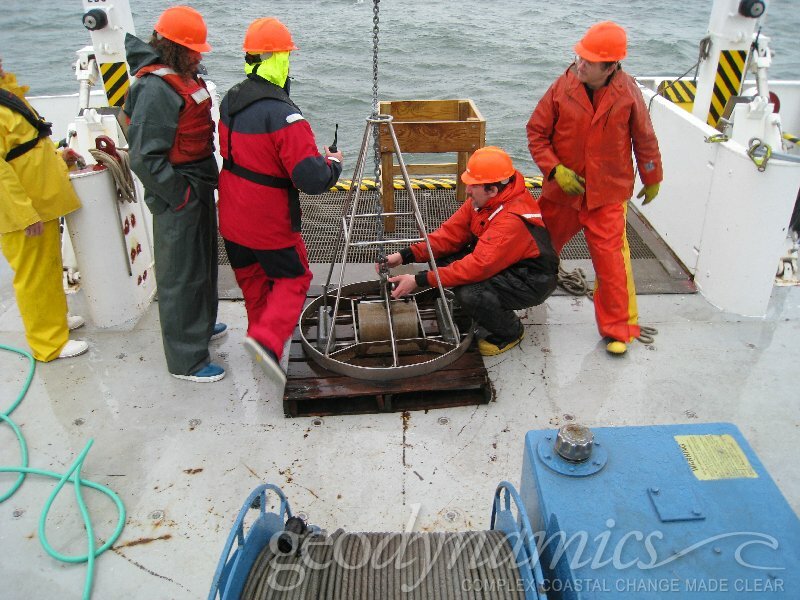 Geodynamics was contracted to complete four phases of a high-resolution hydrographic and geophysical survey in order to support PARSONS in the engineering and design of the Undersea Warfare Training Range (USWTR) within the Jacksonville Operations Area (JAX OPAREA). 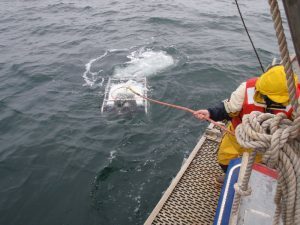 The first phase of the characterization effort consisted of a comprehensive seabed and subsurface survey effort to verify the suitability of a pre-determined Trunk Cable Corridor (TCC) for the trenching and burial of the primary power and data cable connecting shore-based facilities to instruments arrays deployed at the USWTR site. 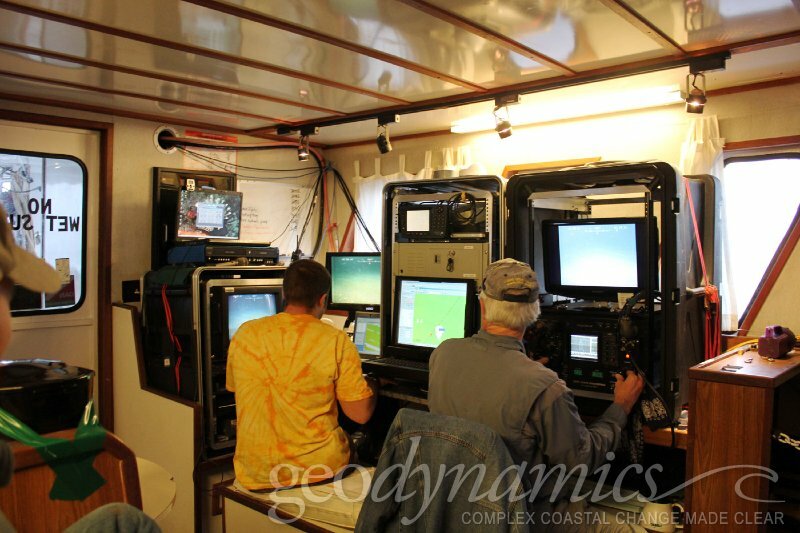 Multibeam bathymetry, sidescan sonar, sub-bottom profiling and magnetometer data were collected concurrently using a suite of sensors mobilized aboard a 135’ UNOLS research vessel, R/V Cape Hatteras. 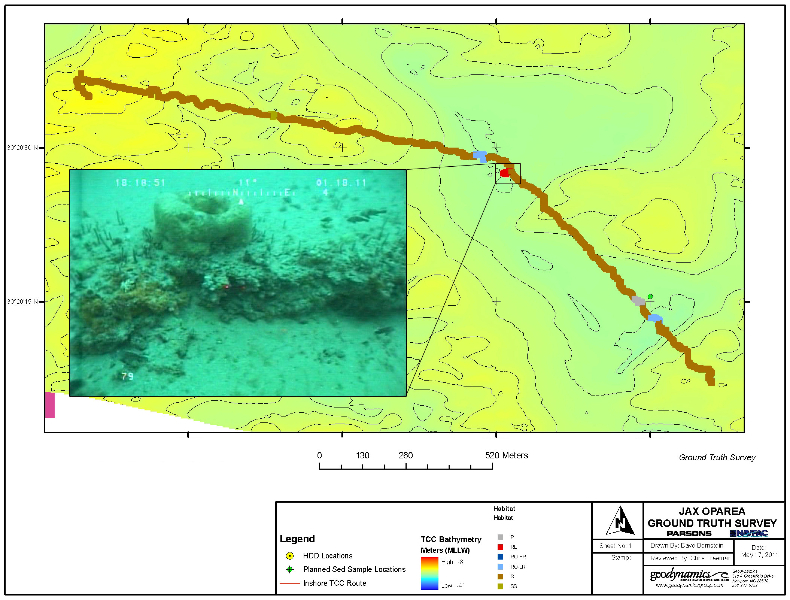 The second phase of this project focused on the nearshore portion of the TCC surrounding the proposed cable landing. 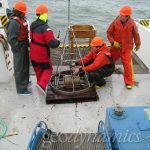 Approximately 1.4nm2 of seafloor were surveyed by Geodynamics, extending from the southern jetty at the mouth of the St. Johns River and continuing 1.35nm from the shoreline to capture depths inaccessible aboard the R/V Cape Hatteras. 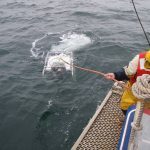 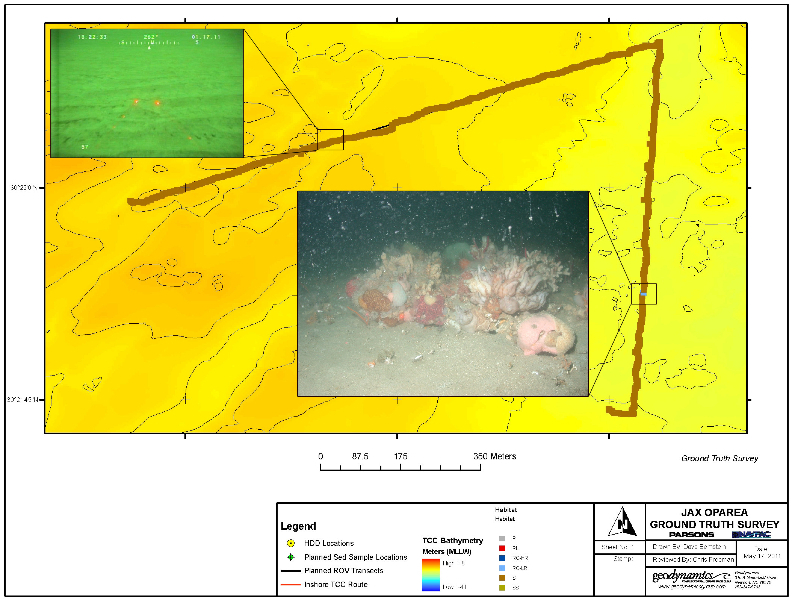 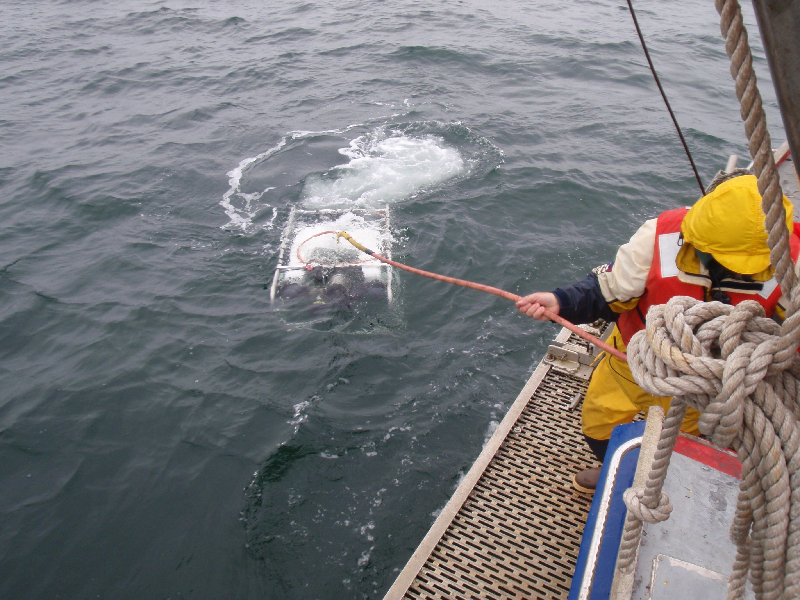 During the third phase of this project, Geodynamics conducted a detailed ground truthing survey using georeferenced digital video and still photography from the Phantom II inspection class ROV and discrete surface sediment grab samples to verify seabed habitat and targets acquired during phase 1 of the project. 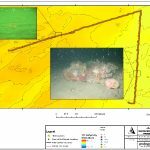 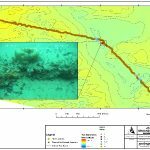 Data was analyzed to identify benthic habitats and various targets of interest, with a final deliverable including a sophisticated GIS geodatabase of georeferenced photos, video, and sediment sample analysis. 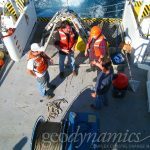 Finally, Geodynamics was later contracted to process the acoustic backscatter data collected during the original corridor survey to support efforts to characterize bottom habitats within the Trunk Cable Corridor. 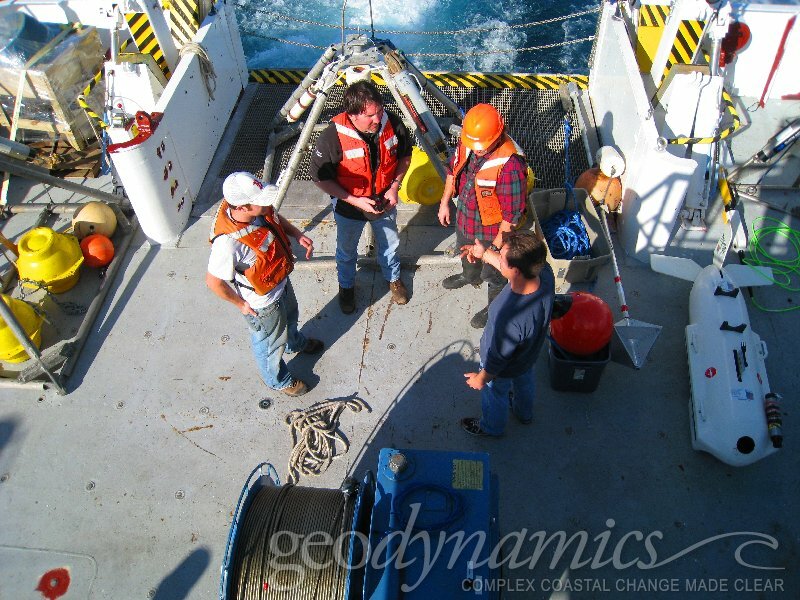 Acoustic backscatter was corrected for the Angle Varying Gain, Time Varying Gain, and residual beam pattern in GeoCoder. 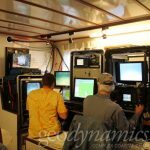 All data was georeferenced to the multibeam bathymetry data and overlaid in a GIS database.